Recently the k-12 school, Hawaii Preparatory Academy, celebrated its first year anniversary of their Energy Laboratory. 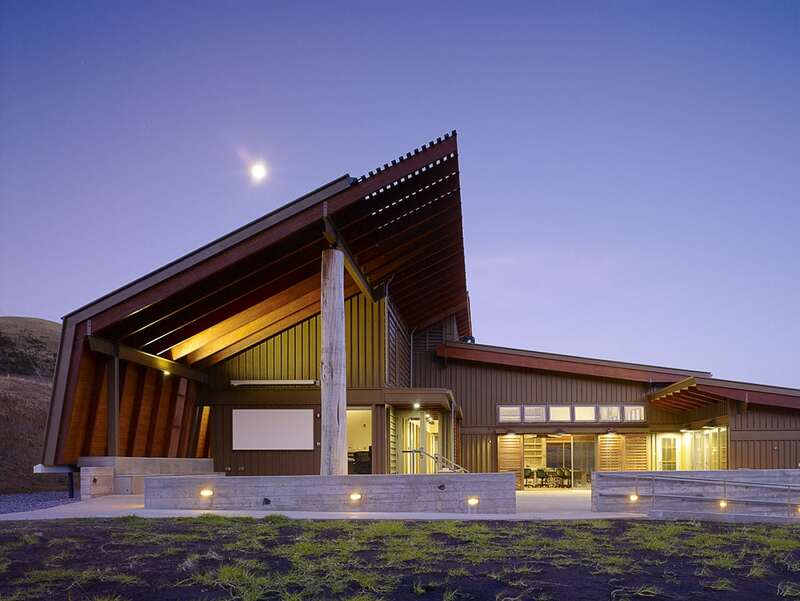 The laboratory, located on campus in Kamuela, Hawaii, received the highest level of certification under the Living Building Challenge. The award is “Living” status and the Energy Laboratory is the third building in the world to achieve this honor. These seven categories are subdivided into 20 imperatives to address all elements of a built environment and surrounding land use. It opened in Jan. 2010 and was designed by Flansburgh Architects. They partnered with Buro Happold who provided sustainability and energy consulting for the project. “We draw on the multi-disciplinary skills, knowledge and experience of our local experts to design and deliver award winning building, infrastructure and environmental projects that excel for clients, engage with communities and enrich the lives of users. Flansburgh Architects brought in Buro Happold from the beginning to guarantee that they met the standards necessary for a green building and to meet the requirements of the Living Building Challenge and to be a LEED platinum certification candidate. The director at the Energy Lab, Dr. Bill Wiecking used his background in physics to do the preliminary design schemes of the cooling/venting systems. Then Buro Happold used computational fluid dynamics to establish the necessary placement of the windows and vents to provide the most effective natural ventilation system. Fans, air-conditioning units and carbon dioxide units were installed but because of Buro Happold’s studies, they were never used in the laboratory’s first year in operation. Other notable achievements for the Energy Lab’s first year are that it generated twice the amount of energy that it consumed and the excess was distributed to the rest of the academy’s campus and that it has a net-zero water system. This system allows the building to require no external water supply sources; it harvests condensation, stores, recycles and reuses all of the required water. Buro Happold’s studies and dedication to improving the built environment’s impact on the earth, along with Flansburgh’s design and Hawaii Preparatory Academy’s demand to be a living educational green example, were all brought to realization with the celebrated Energy Lab’s first year. Cheers to many more years of sustainability and many more inspiring designs!